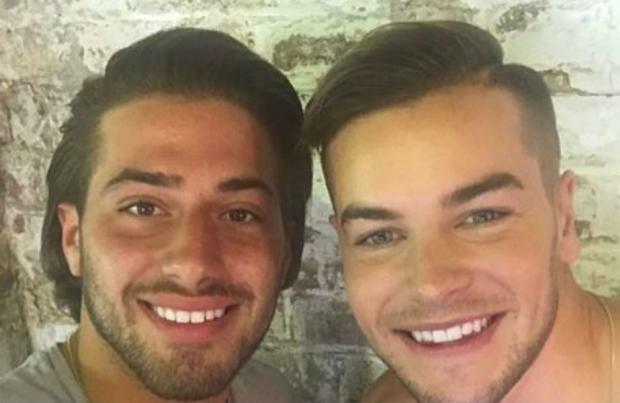 Chris Hughes and Kem Cetinay are set to get a second series of 'Straight Outta Love Island'. The 'Love Island' stars - who struck up a 'bromance' while competing on the dating show over the summer - bagged themselves their own two-part spin-off earlier this month and it's proved such a hit with viewers that producers are talking about giving them another instalment. Kem told The Sun newspaper: "Me and Chris are in a good position at the moment because the figures that we anticipated for the show we completely knocked them out. "They already said we would love to do one after with you but obviously we need to see whether you can hold up a show on your own. I remember the next day the producer rang me he was like 'killed it, the viewer figures have been amazing.' I assume they're gonna wanna do it." The spin-off, which aired last week, saw the pair land a record deal with Sony and play their first gig at Ministry of Sound in London. They then released their first single 'Little Bit Leave It' immediately afterwards and it peaked at Number 1 in the iTunes Download Chart. If the duo do manage to get another series commissioned, the cameras will follow them around as they continue to build their reputation in the music scene and carve out careers as rappers. Although they're keen to drop some more music in the near future, Chris, 24, and Kem, 21, would also like to get into television presenting - although they don't want to be the next Ant and Dec.
Kem said recently: "Me and Chris, we put in so many hours into making it right. We was like 'we need to be perfect'. But for me and Chris now, we were on the way to LA the other day and we both said we'd love to do presenting together. One thing we haven't done yet. "I hate comparisons to Ant and Dec because they're so big I don't like to put myself on that scale. And they made a song, bloody hell. Me and Chris have had a lot of things thrown our way in terms of shows. We liked what we've done with ITV we really enjoyed that, it was done amazingly. But we did say presenting because we'd just be like bouncing off each other, we'd like to give it a go, we haven't done it yet but it needs to be the right thing."